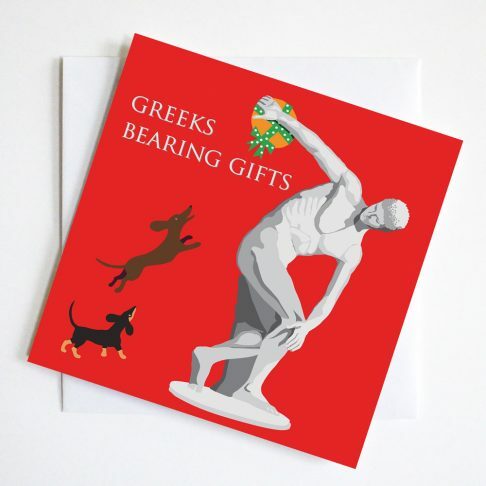 Patricks Christmas card pays homage to Patrick Caulfield’s lovely window scene. 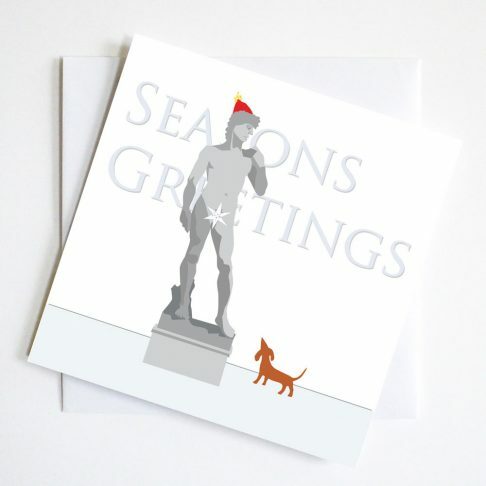 Yet again our dachshund has crept into the picture and replaced the original elements. 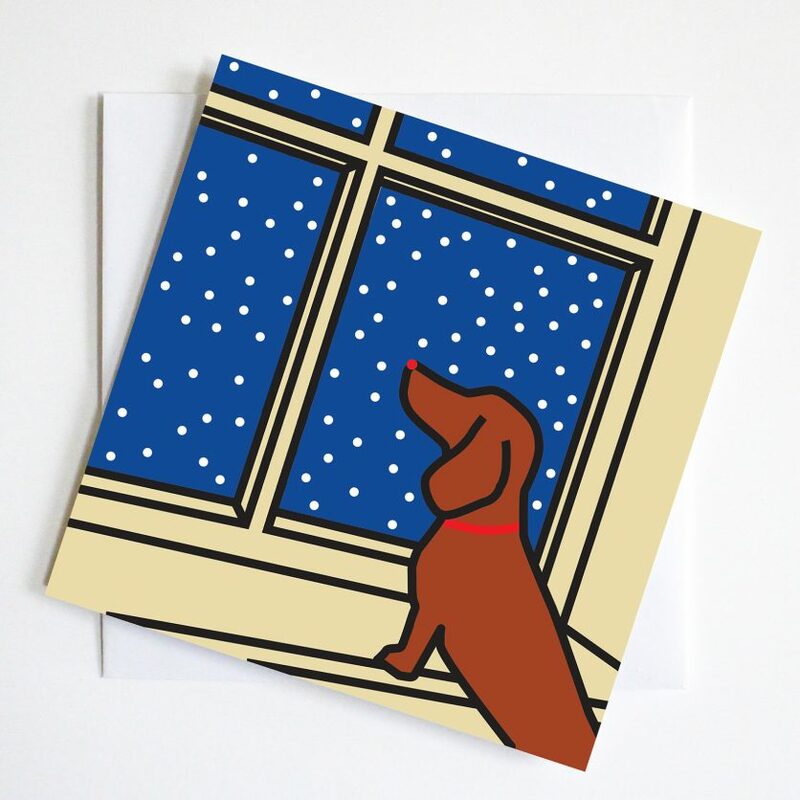 Where it was a glass it is now a dachshund gazing out on a starry night. 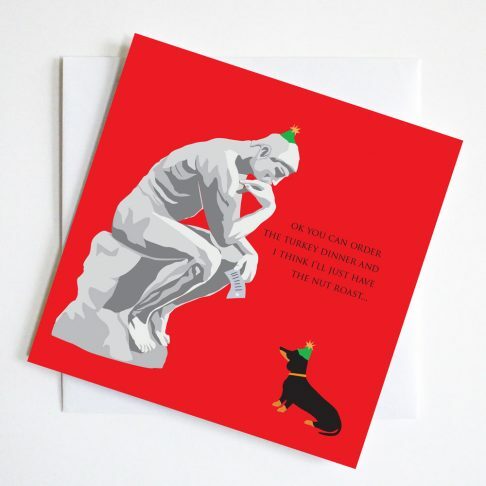 This Humorous Christmas Greetings card combines a well loved classic with the delights of the ever lovable dachshund. 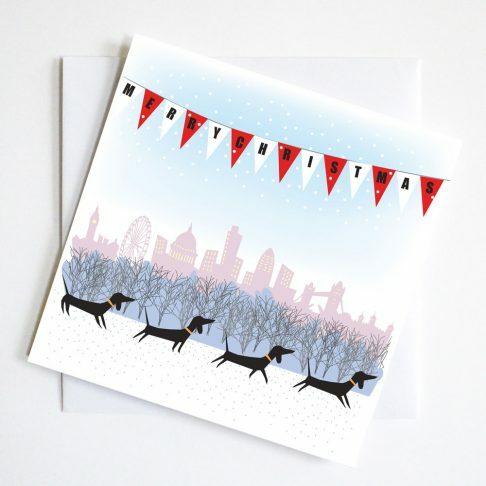 Each dachshund is printed with a red sparkle collar and nose.